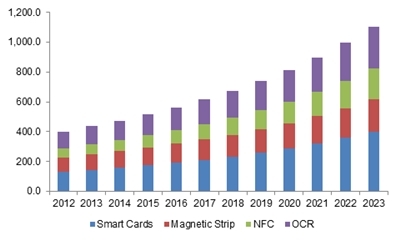 NFC « Global Market Insights, Inc.
Increasing availability of automation solutions for the commercial sector has boosted the electronic shelf label (ESL) market revenue, which surpassed USD 450 million globally in 2017 in conjunction with the growing number of retail outlets. Products such as groceries or seasonal fruits can witness price fluctuations while the stacking of new products also raises difficulties for retail staff to manage and update the pricing tags. The necessity to save time and energy spent for inventory management at stores with a large number of items has directed businesses towards the electronic shelf label industry. ESLs not only allow for prices of various goods to be set quickly and simultaneously, but also offer accuracy and flexibility. The ever increasing customer base, the rising penchant for spending on consumables worldwide and the need for improving the bottom line of businesses will generate massive gains for the electronic shelf label market from the commercial segment over the coming years. According to a key ESL manufacturer, replacing paper labels with the electronic ones could experience cost savings of up to 60%, while adopting a more responsive pricing method and creating a modern brand image. The electronic shelf label market will see tremendous demand from big supermarket and hypermarket companies for eliminating manual errors in updating prices, freeing up the staff’s time to increase productivity and to implement strategic pricing decisions. Groceries from a major part of everyday spending by billions of people around the globe, and supermarket chains undergo daily shelf rotation of essential items. In 2017, it was found that there were a total of 38,581 supermarkets in the U.S., indicating the growth potential for the electronic shelf label industry. 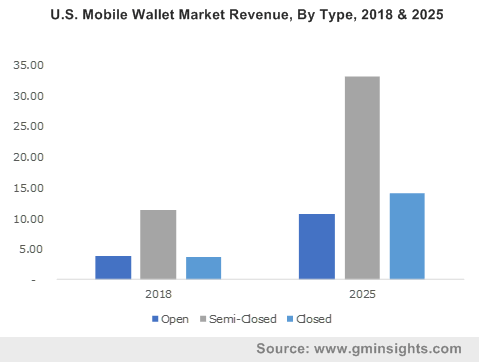 The International Grocery Research Organization has projected that the global grocery retail market will be adding sales of nearly USD 2.7 trillion by 2022, driven by growing population and higher spending on grocery products. Subsequently, multinational hypermarket chains have targeted global expansion for catering to the incessant demand for groceries as well as non-food retail items. SPAR, for instance, has been able to build lean practices and supply chain networks, and has over 12,500 stores in 44 countries throughout 4 continents. The company has been known to use ESLs for guaranteeing efficient pricing integrity and reducing costs, while letting consumers take advantage of visible prices for all kinds of products. SPAR has demonstrated the immense benefits to be accrued from switching to ESLs for product display, inventory management and warehousing, propagating the scope of the electronic shelf label market for the commercial segment. Companies have increasingly found it easy and affordable to integrate smart technologies into their retail businesses, where IT teams can deploy relevant systems to enhance the future of the business. Electronic retail brand have particularly found ESLs useful in enhancing store experience and executing pricing promotions or rolling out offers to customers. New York’s B&H Photo and Video is one such company which took advantage of the booming electronic shelf label industry, by installing three-color fully graphic ESLs to align pricing and promotions in a fast and accurate way. Managing ESLs centrally and securely through an enterprise platform wirelessly, B&H could program computers such that products can be scanned and mapped accordingly, making sure the right labels are updated at the right time. Further innovations in the electronic shelf label industry will initiate the product penetration into less modernized commercial businesses, where people will realize the need for speedy product identification and pricing. To elaborate, the Findbox solution being offered by ESL specialist French company SES-imagotag represents a new take on making shopping easier and more convenient for consumers. When a used product is placed in Findbox, the system recognizes the right product and locates it on the store shelves, where LED on the digital price tags start flashing. As a result, customers can save precious time in searching several shelves and aisles and find the product they want to buy or replace, while displaying the correct and updated prices. The company has claimed its Findbox can automatically recognize products within 3 seconds and updates can be made in less than 1 second. With the rising frequency of innovations in connectivity, IoT and smart technologies, the electronic shelf label market can be expected to transform significantly, supported by better accessibility to AI and cloud-based services. 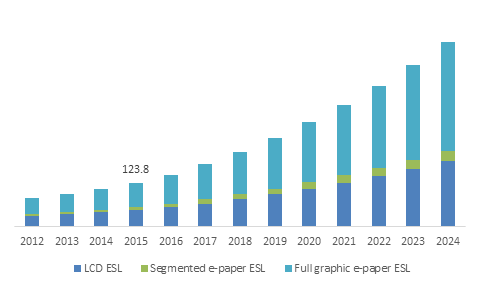 SES-imagotag, LG Innotek, M2Communication, CEST, Displaydata, Price AB and Teraoka Seiko Co. Ltd. are come key participants in the global electronic shelf label market, which is projected to exhibit a 13% CAGR from 2018 to 2024. This entry was posted in Sustainable & Smart Technologies and tagged Electronic Shelf Label Companies, Electronic Shelf Label Market, Electronic Shelf Label Market Analysis, Electronic Shelf Label Market Share, Electronic Shelf Label Market Size, ESL Market Research, Full Graphic E-Paper ESL, Global Electronic Shelf Label Market, IR, LCD ESL, NFC, RF, Segmented E-Paper ESL.